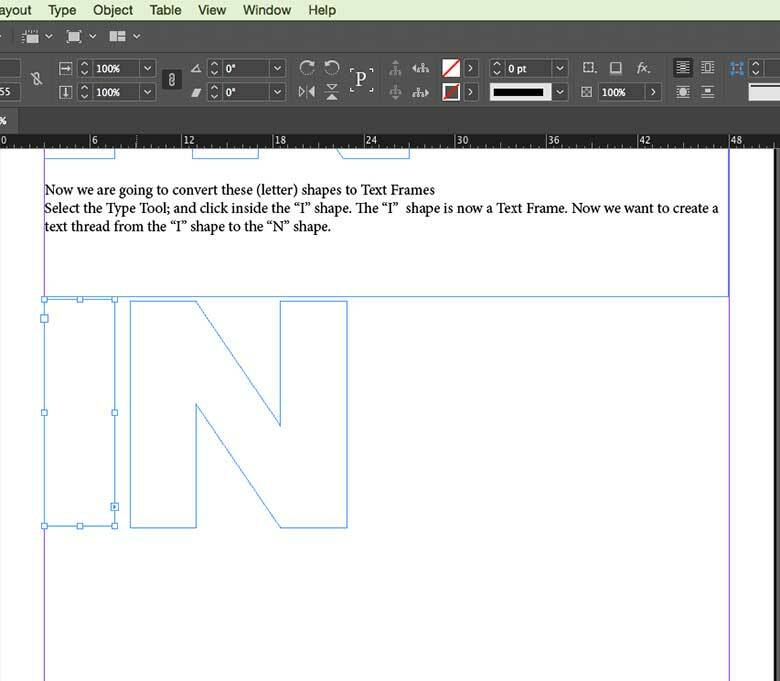 InDesign is known as the master layout program. It is ideal for working with text and multiple page documents. But there are cool graphic effects that you can do in the program too. This allows you to design for visual impact while also being a meticulous typesetter. 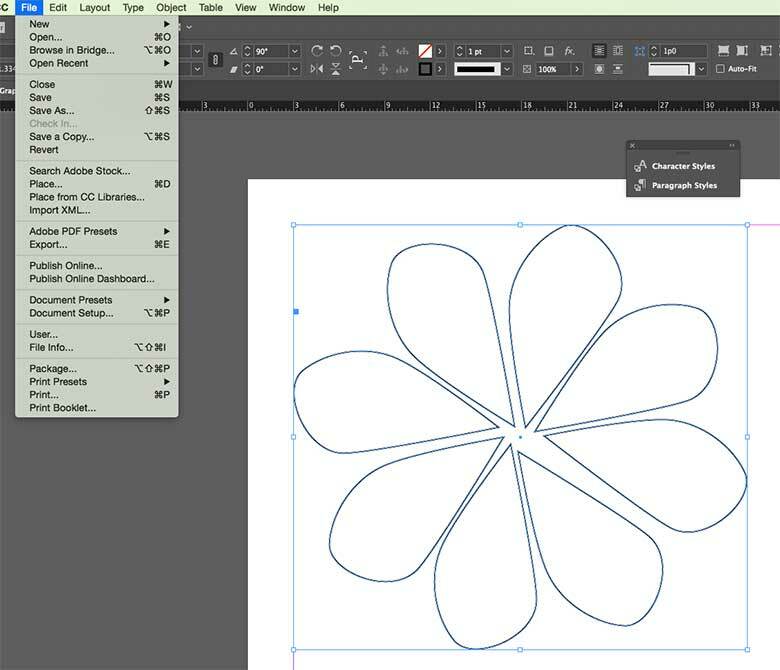 Let’s look at two InDesign graphic tricks. For instructor-led InDesign classes available in Chicago and Los Angeles call us on 888.815.0604. So you are working on a layout project and you have a short time frame to complete. 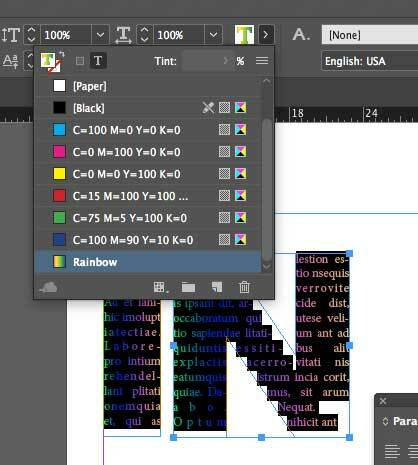 You want to do your graphics in InDesign to save some time. You have several images to place in your project - and they seem kind of humdrum. What about Placing one image in multiple frames? We are going to start with drawing a few shapes. 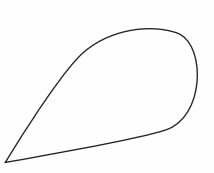 I drew a flower petal with the Pen Tool. Then we are going to Copy that Petal until we have a full flower shape. There are several ways to do this. Transform > Any of the preset Rotate commands. 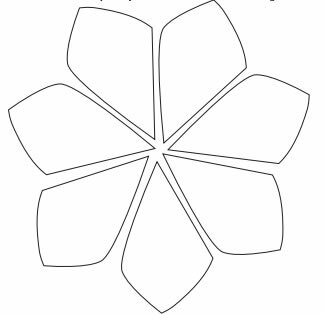 There are many ways to create this multi-petal flower shape. Just so long as you end up with this. Now that you have all your petals created and properly arranged you need to select all of them with the Move Tool. You will not be able to place an image in your flower as a Grouped or Ungrouped Object. The petals need to be changed into a Compound Path. 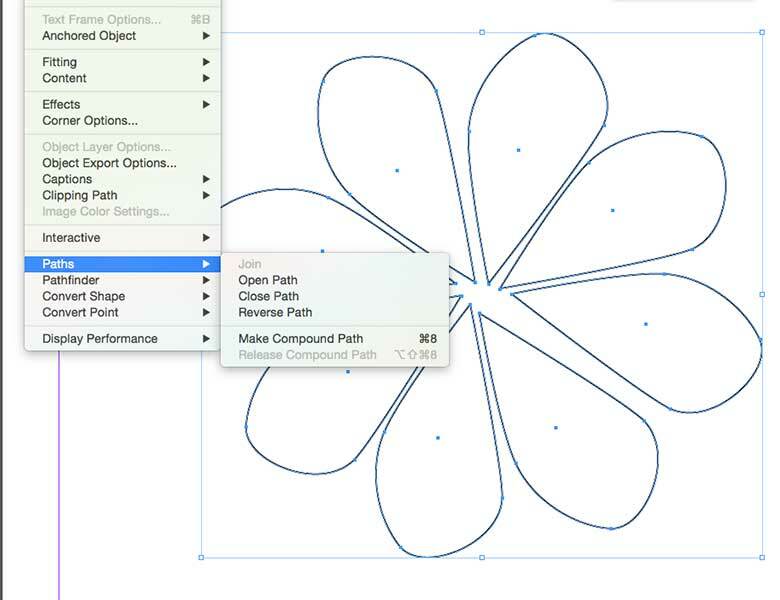 Select the Paths drop-down Menu from the Object Menu. With your Compound Path selected, you are now ready to Place your image. Select Place from the File Menu. This image can be scaled and moved around with the shapes with the Direct Selection Tool. 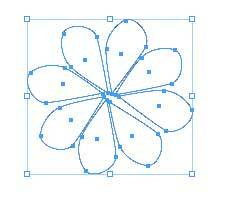 The curve and control points of the shapes can still be edited with the Direct Selection and Convert Anchor Point Tools. Here is a fun link to a similar exercise. This effect displays running text inside of large display text. We need a wide preferably Arial type of font so that you can see what is on the inside of the text. Cursive and narrow fonts are not wide enough to show the running text. Select the Type Tool and draw a Text Box. Select Arial Black at 250 points from the top Control Panel. Type the first letter in the word "IN." Copy and Paste the “I” text box. Move it to the right and type “N” in place of the I. So each letter will have it’s own text box. Now we need to turn the text into an image. This is done by Creating Outlines of the letters. Once you Create Outlines and convert your text into an image you can no longer edit the text. Select the “I” and choose Create Outlines from the Type Menu. 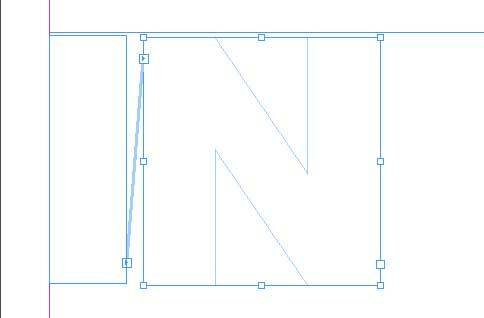 Select the two letters “IN.” Open the Swatches Panel and choose “None” for Fill and Stroke. Now we are going to convert these (letter) shapes to Text Frames. 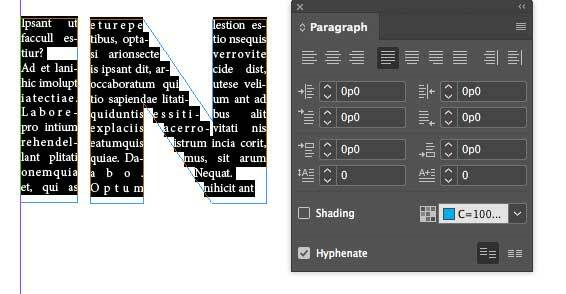 Select the Type Tool; and click inside the “I” shape. The “I” shape is now a Text Frame. 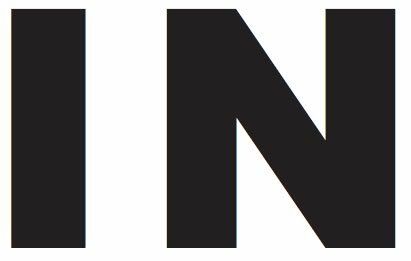 Now we want to create a text thread from the “I” shape to the “N” shape. The “IN” Text Frames are ready to be filled with text. We are going to fill it with Placeholder Text. Click inside of the I shape. Select Fill With Placeholder Text from the Type Menu. So the letter shaped Text Frames are filled with Text. Now, we are going to format the text. From the Edit Menu - Select All. Select the Justify button from the Paragraph Panel. We want to Justify the text so that it aligns with both side of the text frame. I also applied a Gradient color to my text from the Swatches Panel in the Options/Control Bar. Select a color swatch you like. Set your text to 8 points. Now you have rainbow colored text inside of text. Live face-to-face training is the most effective way to learn Adobe InDesign. See what our past students say about our InDesign classes - InDesign class reviews.